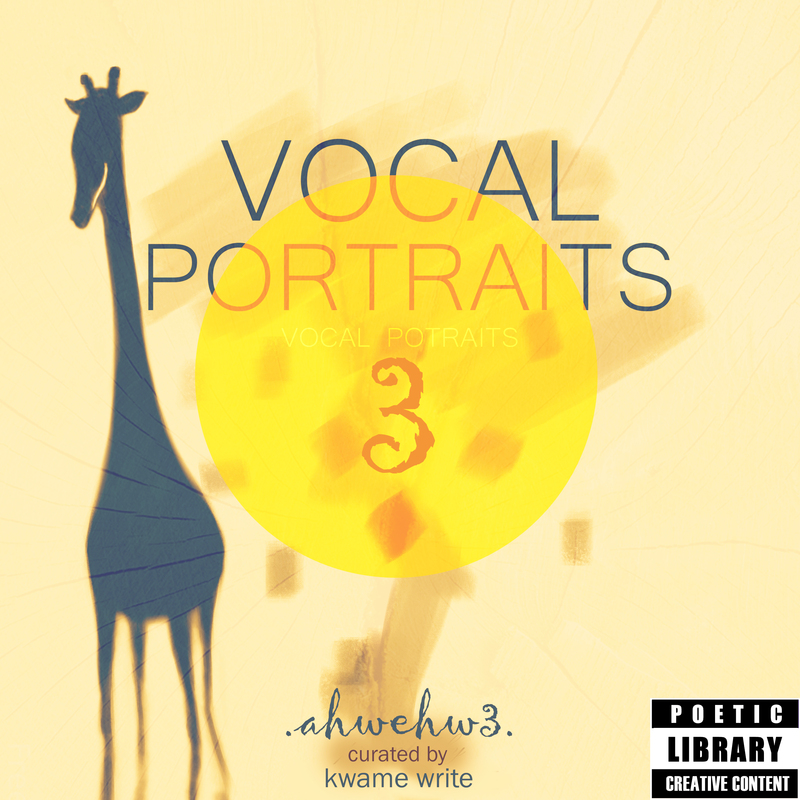 Vocal Portraits is a collection of musico-poetry by young wordsmiths from Accra, Tema, Lome, Cotonou, Ouagadougou and beyond. 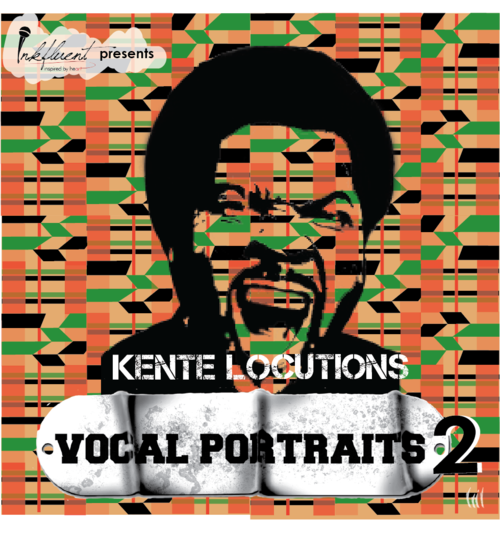 Vocal Portraits 1 underlines a broad range of topics ranging from life, love, peace, inspiration, black consciousness, religion, experience, history, abstractness and social issues. The vocal delivery on the album ranges from recitals to original spoken word and a short fusion of rhythmic rap attached to instrumentals, live guitar or African instruments like the kora and calabash, as well as an a-cappella skit. This first edition features 15 artists. Featured poets include Chief Moomen, Laud de Poet, Mariska Taylor Darko, Rhymesonny, Kwame Write, Yom_Writer_Poet, Kwaku Rap, Michael Somuah Jesse, Edith Ndabi, Shark Mellon, Tiffany Howard and Jude Edze. All the recordings were produced by Inkfluent and recorded and compiled by sound engineers; Drumnayshin and Boney at 21 Entertainment Studios in Community 1, Tema. The marketing of Vocal Portraits 1 has been executed mostly by hand. Out of 2000 copies produced, 1000 were given out for free to those who couldn’t afford and 1000 were sold. The money accrued went to support the production of Vocal Portraits 2 and organize an event to promote the featured artists and for the lyrical celebration of the compilation. Stream or Purchase Vocal Portraits 1 at a self-proposed rate. Proceeds go to produce more Vocal Portraits editions, and the construction of an audio recording studio. Kente is the main and currently most popular of the dozens of dazzling textiles that have been made and used by the Ashanti since the foundation of the Ashanti Kingdom. Vocal Portraits 2 makes use of the cultural symbol as a metaphor for the inextricably interwoven aspects of our traditions and livelihoods, similar to the production process of Kente; from the narrow-strip weaving technique. At some point during the production of Vocal Portraits 2, inspiration seemed far-fetched. Especially with the cover art, it took several industrious attempts by graphic/visual artists to create samples intended to reflect the unique blend of themes that the pieces on the album projected. In the end, Kwame Aidoo picked Adwineasa to represent the template for the cover art and ‘Kente Locutions’ the sub-title. The point of exhaustion of ideas invited the use of the spectacular kente pattern chosen here: ‘adwineasa’ which translates to ‘ideas are finished’ from the Akan language. On another plane, ‘asa’ means dance in Akan. Also, pun-wise, Adwineasa may mean ‘dance of wisdom’ which connotes the deep vocal capering experience of the poetry thereof. Kwame thought these two meanings of Adwineasa would be genuinely applicable. The compilation just like the first volume is a proud production by Inkfluent and most of the pieces were recorded in a small music studio in Tema called 21 Entertainment. Two major sound engineers who put in time, rain or shine are Drumnayshin and Boney. Ghanaian instrumentalists who laid intrinsic melodies as intriguing as kente pattern for the word art include Yogendra(guitarist) and Ansong(flutist). 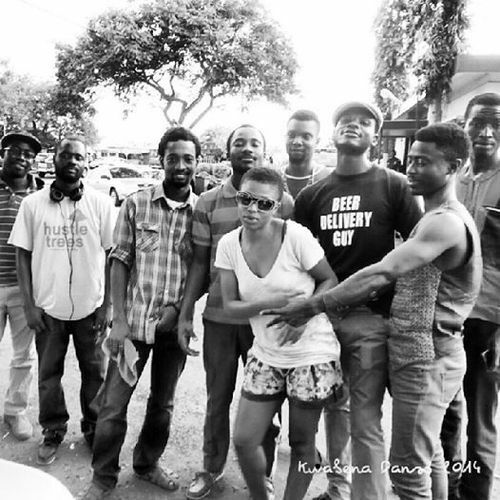 Other sound engineers/instrumentalists who are not present in Ghana but have their quality beats included on the project are Iwan Gronert, Leon Erasmus(South Africa), Staun&Ko and Ojigbeready(UK). There’s a funny skit called Poe(tree) in the middle of the album, which was written by Kwame Write and recorded by Boney and Sedi. Stream or Purchase Vocal Portraits 2 at a self-proposed rate. Proceeds go to produce more Vocal Portraits editions, and the construction of an audio recording studio. 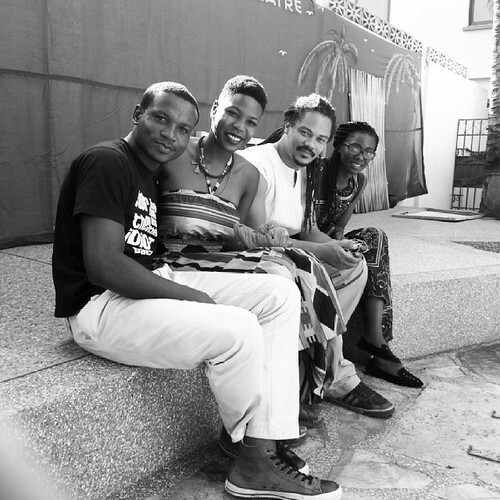 The 3rd collection of Vocal Portraits brought together word artists and musicians of diverse cultures and experiences. The pieces are layered with scores of entrancing music like the previous LPs. 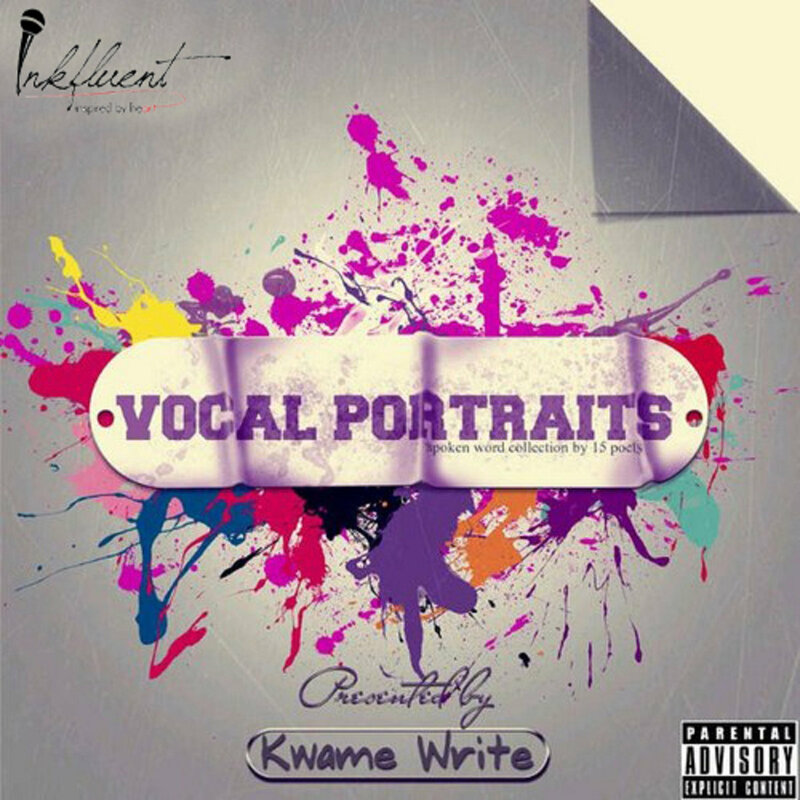 Stream or Purchase Vocal Portraits 3 at a self-proposed rate. Proceeds go to produce more Vocal Portraits editions, and the construction of an audio recording studio.